Not much happened on Day 3, and I barely spent any time on the floor in Day 4, so I will condense both days' reports into a single post. My friend came over at around 10:30 AM to help me trim my Reimu wig--I didn't like cosplaying with long hair, and it's not like Reimu has a specific hair length--her hair has changed styles in offical art, and fanart of her with short hair is not uncommon. 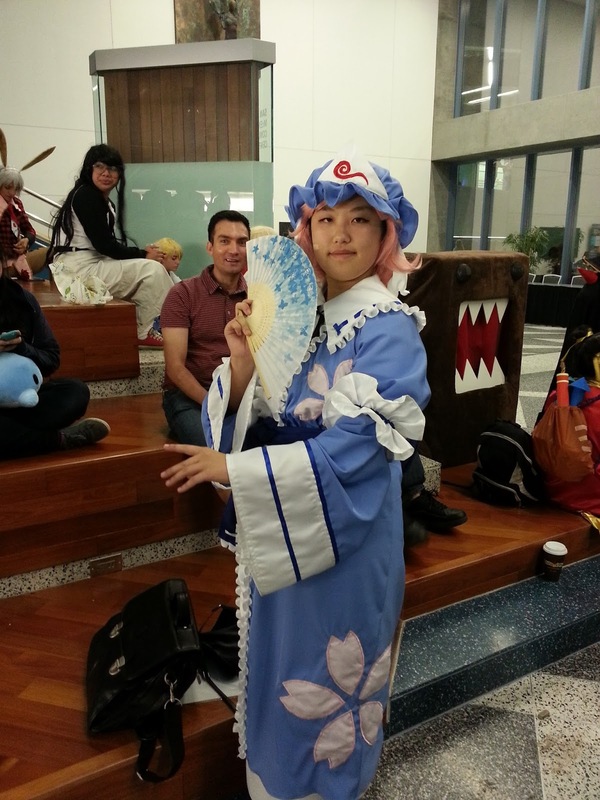 This is perhaps the beauty of the Touhou fandom--the series has had a particularly loose canon and thus there's plenty of creative room for artists and cosplayers to work with. My friend also told me that she was barely able to sleep the night before, because she was at the dance until its closing time of 4 AM, but she was unaware that shuttles only ran until 2 AM. This brought up an issue: Fanime has events going on late into the night, and there are parts that are open 24 hours such as the Gaming Room, but their hotel shuttles only run so late. 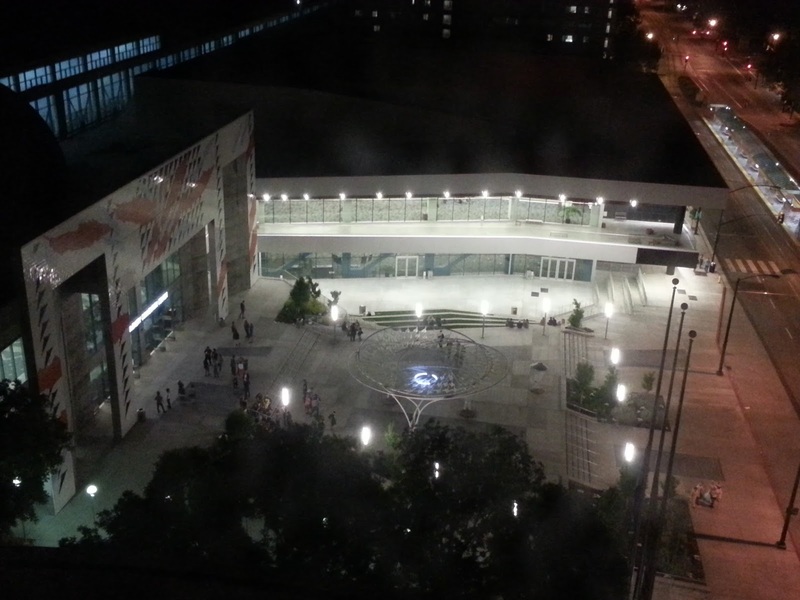 Meanwhile, Anime Expo has shuttles running 24 hours, but most events conclude by midnight. I feel that this is an issue that may need to be addressed. At any rate, wig cutting took a while and I wasn't on the convention floor until nearly 2 PM. 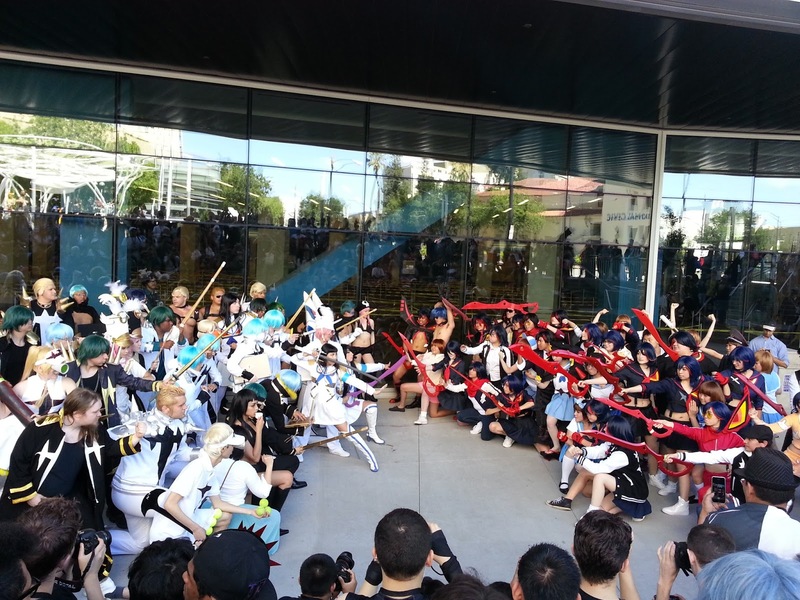 The Kill la Kill gathering was at 3 PM. 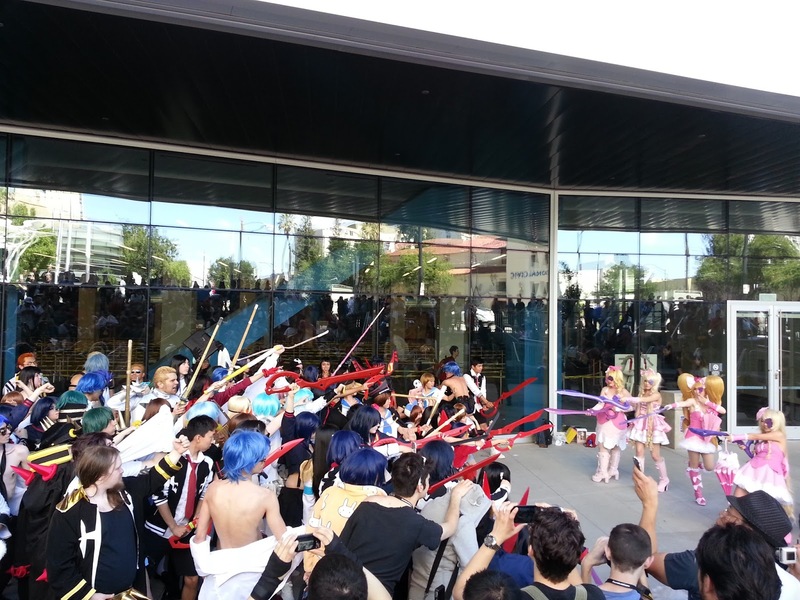 As I mentioned before, there were a large number of Kill la Kill cosplayers throughout the con, and this was the big day for the fandom; this was, after all, the first anime convention of 10,000+ in California since the series reached its conclusion. The number of cosplayers present was just staggering; Nate and Lucas in particular were among the participants. 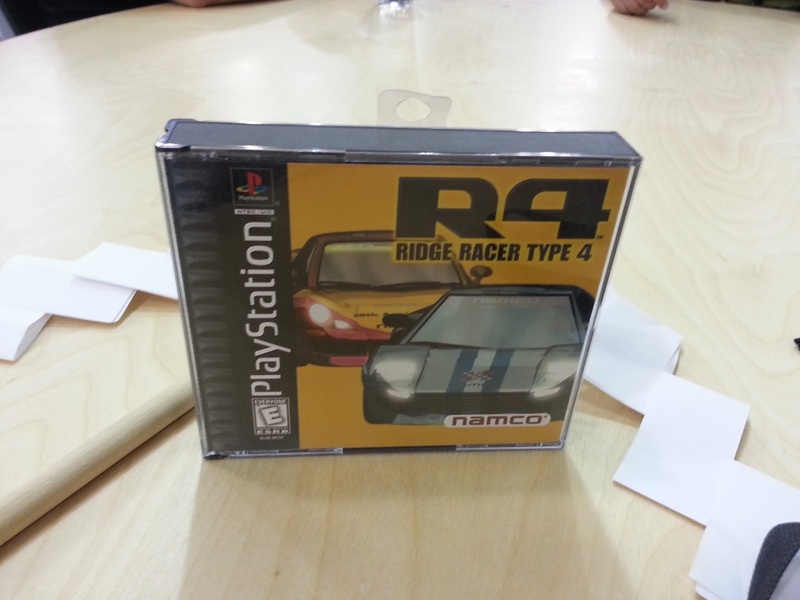 I thought my Patchouli wallscroll from the day before was going to be my last non-food purchase of the convention, but while browsing one of the game shops in the Dealer's Hall, I couldn't help but find a copy of R4: Ridge Racer Type 4, which I had been looking for for a while, so I picked it up for a fair price of $15. 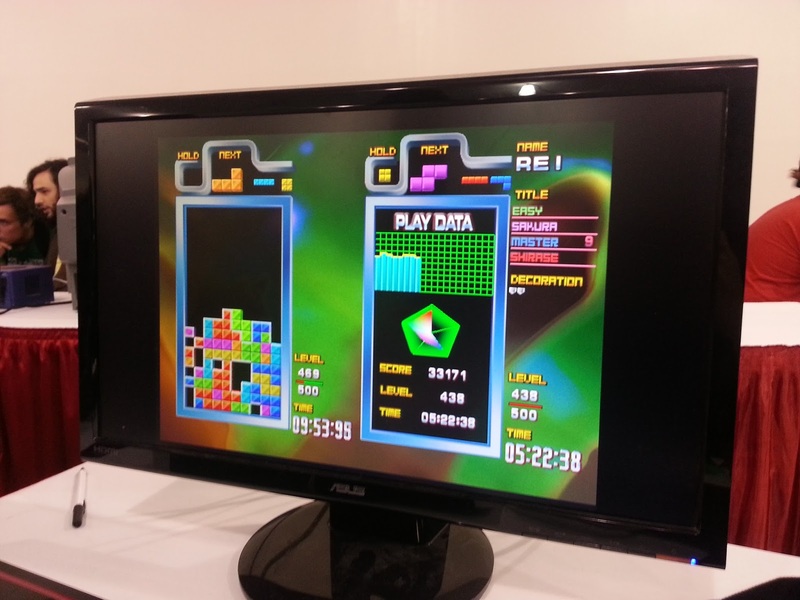 In the gaming room, my friend staffing the room brought over Tetris: The Grand Master 3, the third game in Arika's line of super-challenging Tetris: The Grand Master games. 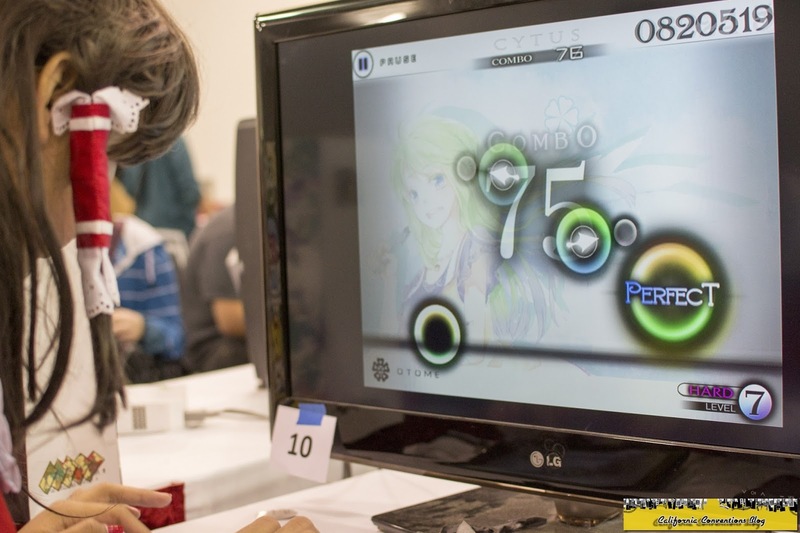 The game is very difficult to find outside of Japan, as it is arcade-only and has no console ports, so it was an honor to have the privilege of playing it for the first time in well over a year. 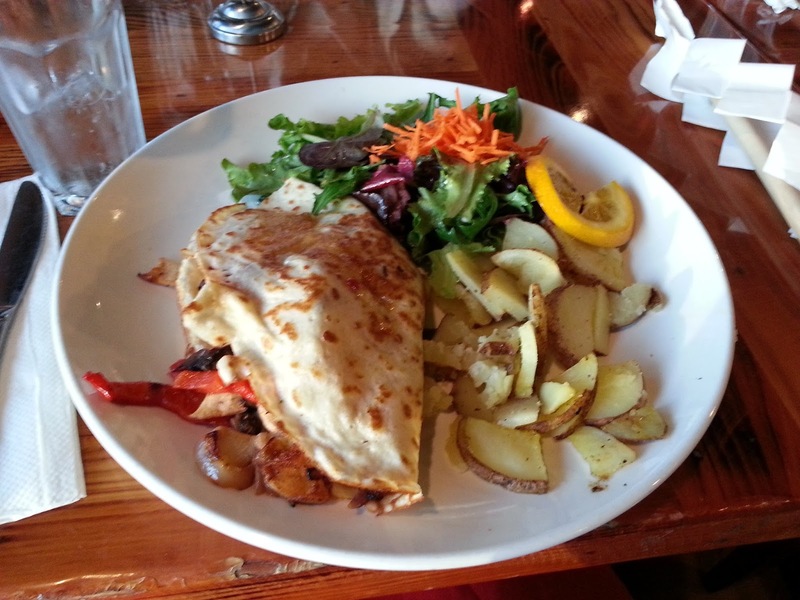 Matt treated us for dinner that evening, and at my recommendation, we went to Whispers, a restaurant near the San Jose Rep that specializes in crepes. Nate and I brought friends along, and Matt paid for our meals. 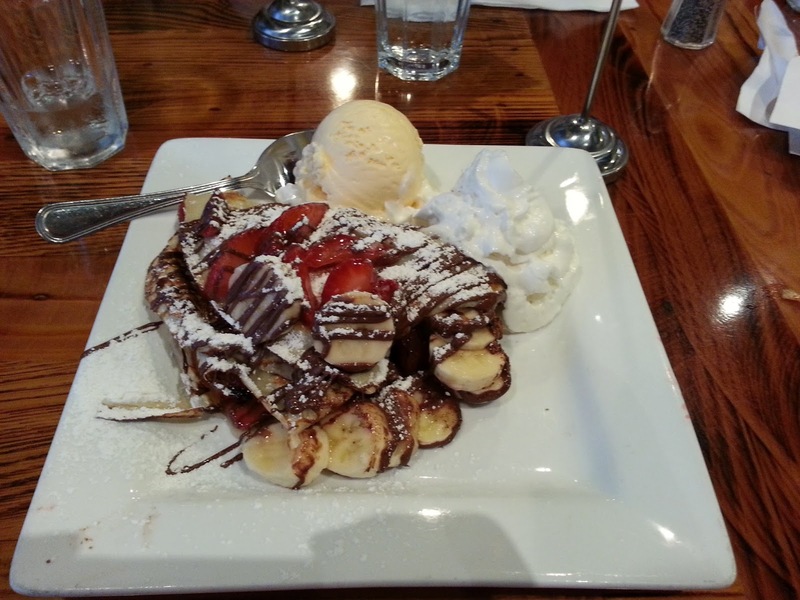 After mine, I also got a dessert crepe, because I decided I needed a way to top off the last full day of the con. 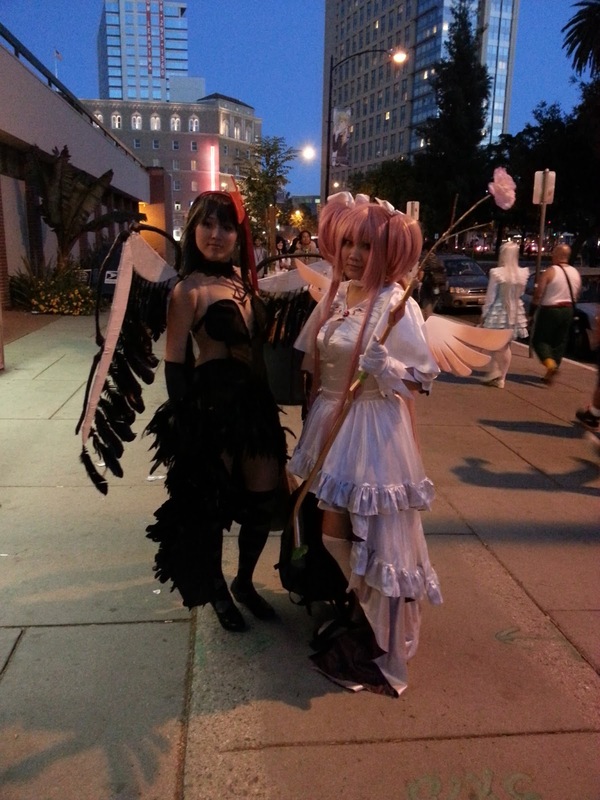 Ultimate Madoka and Demonic Homura, from the Madoka Magica series. After spending time on the con floor, a good chunk of which was spent in the Gaming Room, I went back, to see some friends lounging around in the room I was in. After some casual conversation with each other, I switched out of costume and went to sleep to prepare for the final day of the convention. It was the final day of the convention. 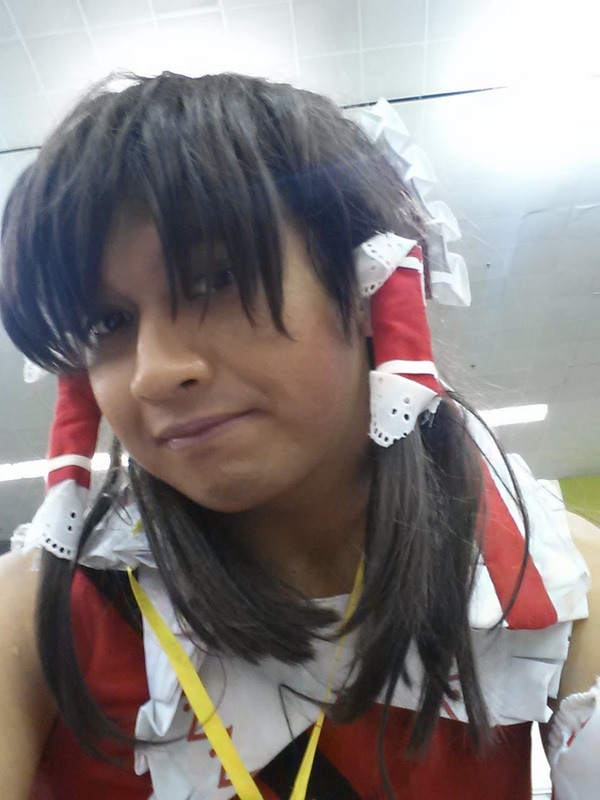 I was going to cosplay as Renko Usami like I did on Saturday, but I lost her hat on Saturday evening and so I had to make alternate plans, so I cosplayed as Reimu instead. After packing my stuff in Matt's car, I came onto the con floor, making final sweets through the various halls. 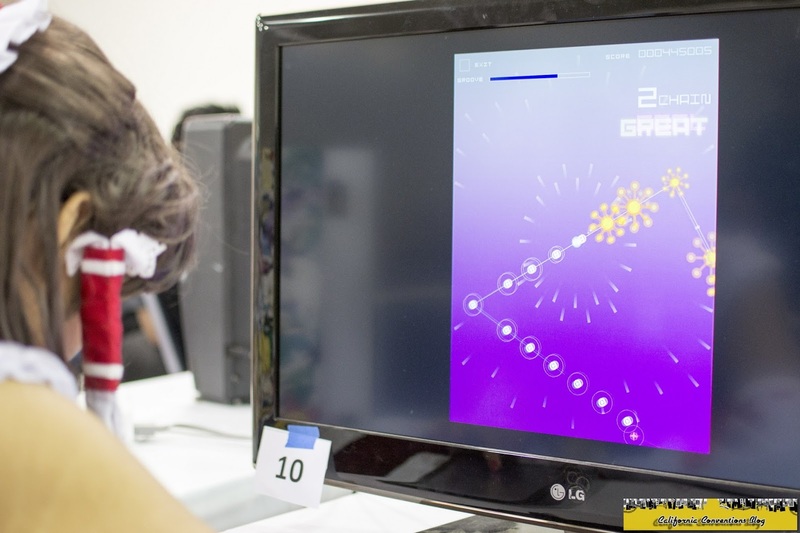 I spent a good amount of time, again, in the Gaming Room; I mostly gathered around Craig's iPad to play music games. Matt needed to leave soon, as he still had about a 2-hour drive back to Sacramento, and he was giving me a ride back, so we made our final sweeps around 2 PM, I took off my Reimu cosplay, and we headed out. I took the opportunity to just relax for the rest of the day. 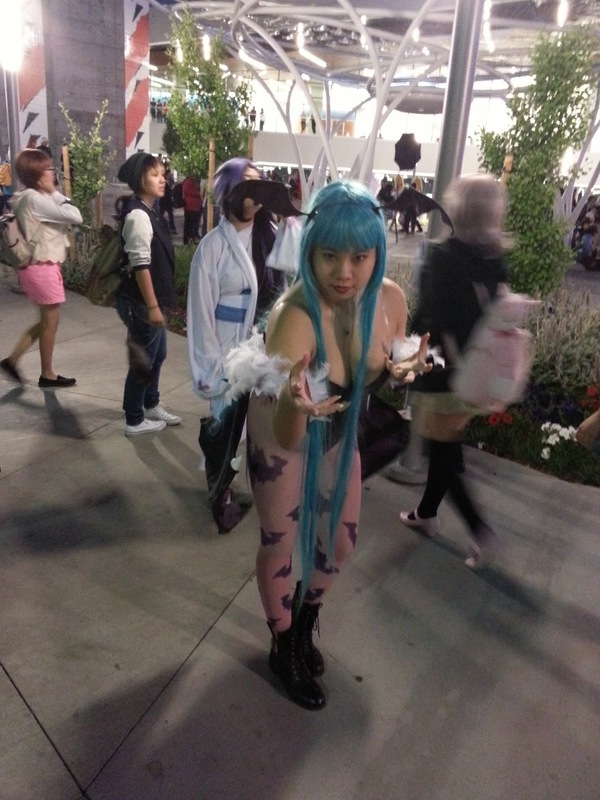 Fanime just seemed like an overall positive experience for many this year. Gone was the construction and the terrible registration lines. A lot of improvements took place--double-sized dealer's hall, a cozy new Artist's Alley, five-minute waits for registration, among other things to help improve the convention experience. I had a few issues that hampered my experience of the convention, but nevertheless the overall experiece was positive. I spent time with friends I normally don't get to see, which is a major objective of every convention I go to, and overall gained something out of this convention, so I'm content. I'm hoping for next year to be better in a few ways. The shuttle issue should be addressed, as does the Swap Meet--small space and two-hour waits are not what one has in mind for such a meet. Hopefully the way registration lines were this year continue to be this way next year; these were some of the fastest registration lines I've ever seen at a convention, and I hope it stays that way. 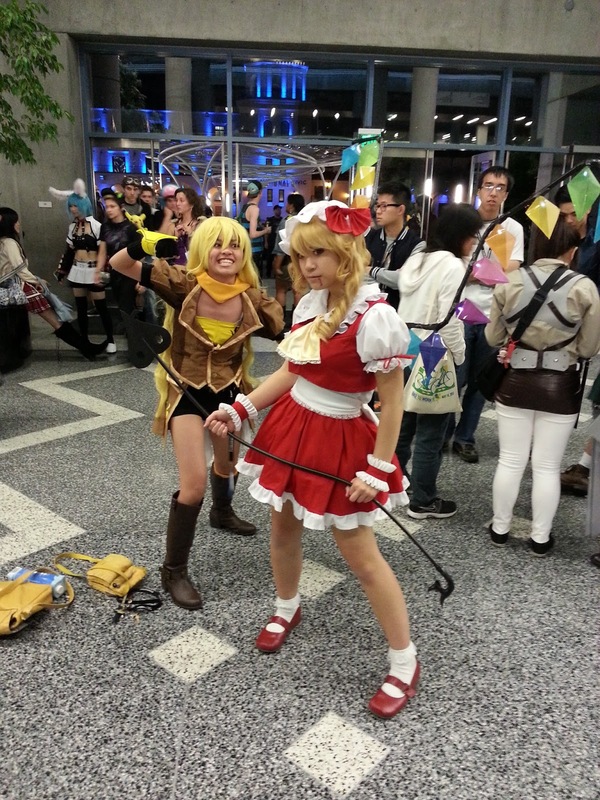 Other than that, this concludes my business regarding yet another successful Fanime until next year. To those going to Anime Expo in Los Angeles next month, I hope to see you folks there.